Gascoigne's Garb is a Head Armor (Attire) in Bloodborne. It is part of Gascoigne's Set. 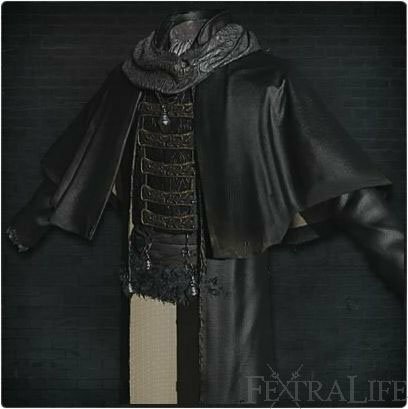 "Hunter attire worn by Father Gascoigne. and there is no such rank in the Healing Church." Can be bought with insight from the messengers in the Hunters Dream.